Guatemala brought all the colour, adventure, and relaxation we needed desperately in early 2013. 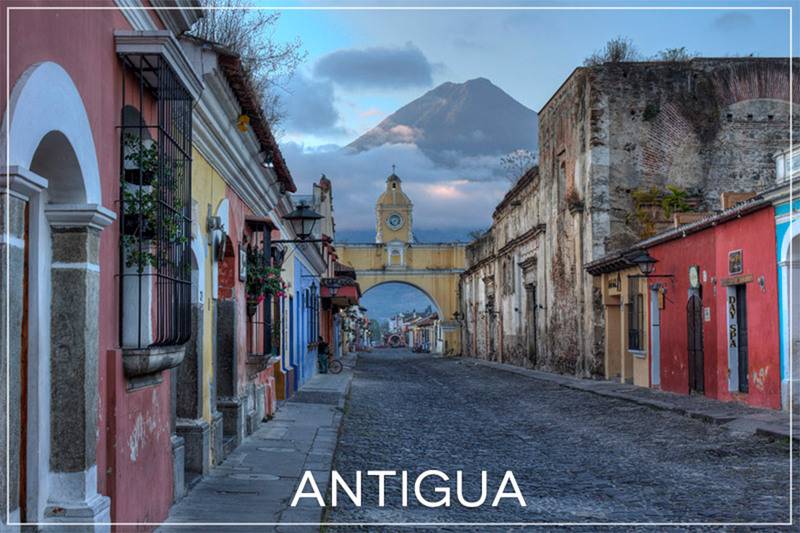 We spent almost a month touring this big country, climbing volcanoes and Mayan ruins, relaxing near crystal-clear pools and in the gorgeous city of Antigua. Our first steps into Guatemala, via Antigua, were gentle and enlightening. Guatemala = chocolate heaven. And we learned how to take our own cocoa beans and turn them into bars! We took an afternoon trip to nearby Pacaya Volcano and climbed amidst the clouds. Antigua is a gorgeous city of vibrant colors. These are two local restaurants in Antigua that should not be missed. There isn’t much to Panajachel, the main town on the Lake, but these views are the reasons you should head there anyway. The market in nearby Chichicastenango is not your typical Latin America market. This scantly visited and hard to get to spot in Guatemala turned out to be our favourite. Here’s why. This visit was about more than just gorgeous pools and lazy swimming, Dalene made a major connection there. We had a 2:30am wake-up call to see the sunrise over the Mayan Tikal ruins. Sure would have been nice if the sun showed up. Not discouraged, we continued touring and were treated with witnessing an intimate Mayan ceremony. An entertaining few hours spent crammed in a tiny van with locals. It’s our favourite way to travel. The best of our Guatemala photos, turned into postcards.